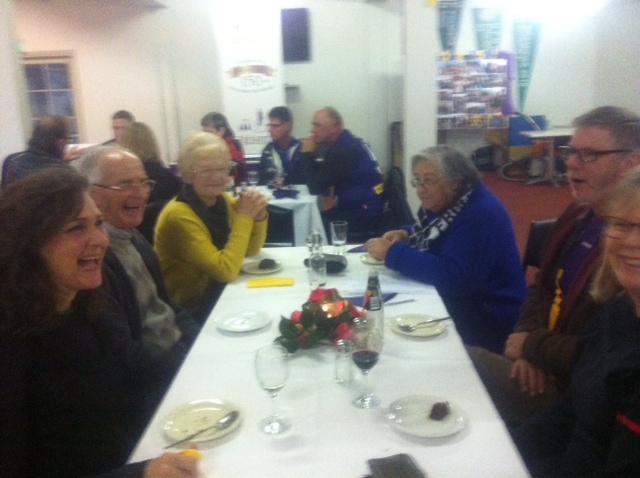 Rotarians and Friends recently got together for a night of fun and trivia in the clubrooms of the Port Fairy Football Netball Club. The theme of the night was Australian football and their knowledge of the game was tested with a number of quizzes. This year the Port Fairy Football Club celebrated its 150th anniversary. Club President Ashley King spoke of the Club's history and the important role played by the Club in the life of the community of Port Fairy.